The Adams Golf "Blue" is the perfect driver for the game-improvement player seeking aesthetically pleasing looks, forgiveness and easy launch. The new navy blue look to the 460cc head appeals to the eye with an understated Adams logo and darker shade of blue aiding suitable alignment on the crown. One slight niggle is that there are no adjustable weights or an adjustable hosel to play around with - so once you have handed over your money, that is that. While not the longest driver we have tested this season, we found it to be one of the most accurate as the "Velocity Slot" - large channel in the sole - ensured we got away with several squiffy swings. It proved a real fairway finder during our testing with just three of 20 drives veering more than 15 yards offline. 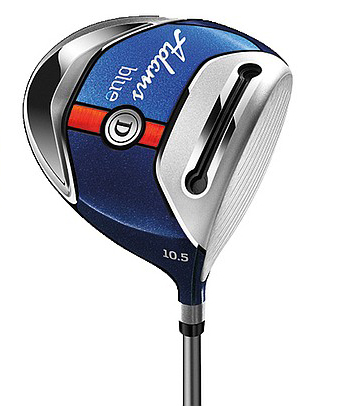 The Adams Blue also sounded superb with a hearty "thwack" at impact and it proved very easy to draw, so it could be a great driver for someone looking to cure a slice. As expected from its low, back centre of gravity location and new "SlimTech" shaft, it gave a higher-than-normal ball flight but by no means stratospheric. While the unique, slimline Aldila 55g shaft rewards the player with a lower kick point - where the shaft flexes nearer the head - to help get the ball in the air, unfortunately the thinner-diameter tip means it is almost impossible to replace the stock shaft with a custom one. Given its fresh navy looks, ease of launch and impressive fairway-finding accuracy, we feel the new Adams Blue driver offers great value for the game-improvement player at £199. With no adjustability, however, tinkerers will likely want to look elsewhere.